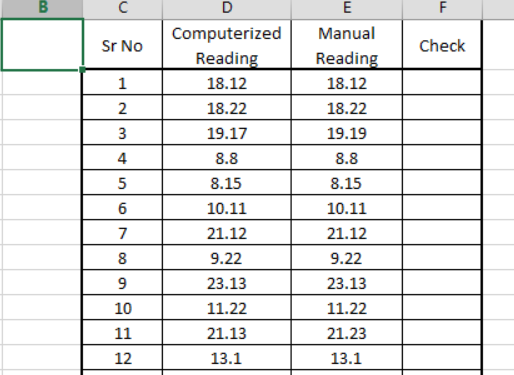 Our data-set show readings extracted from computer system and values manually note down. 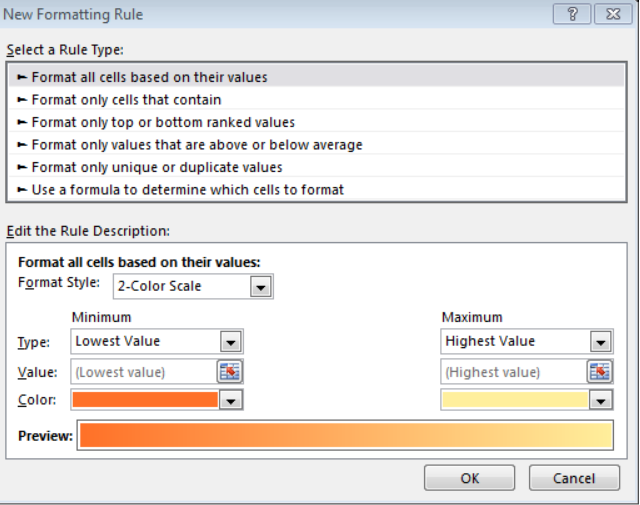 Our goal here is to check if values extracted from computer and the manual values match. 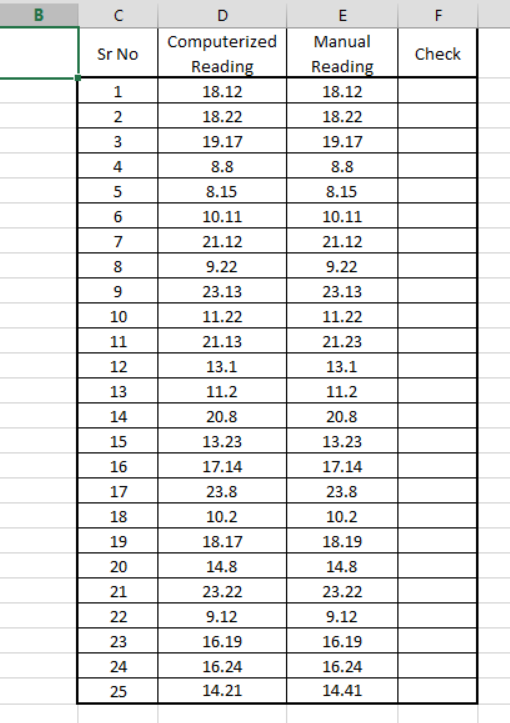 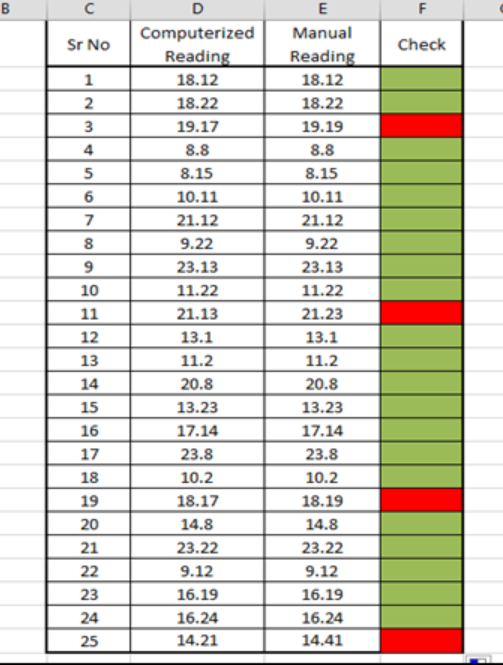 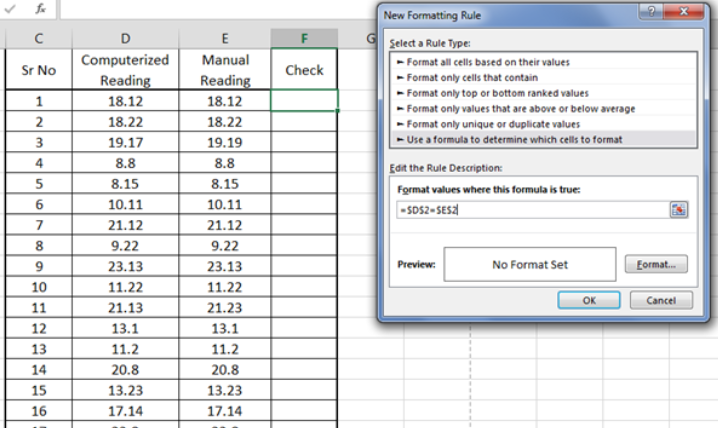 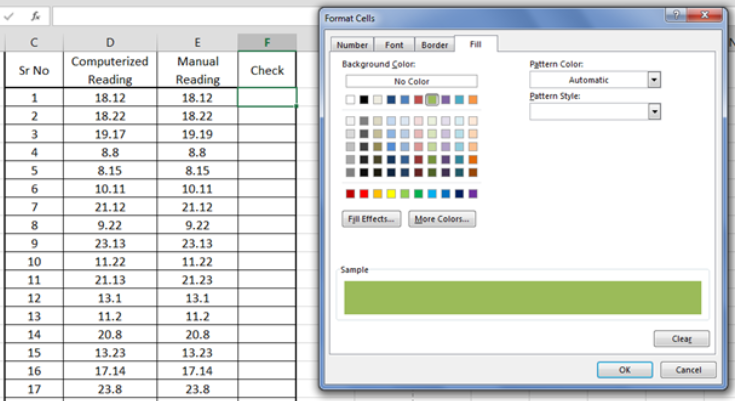 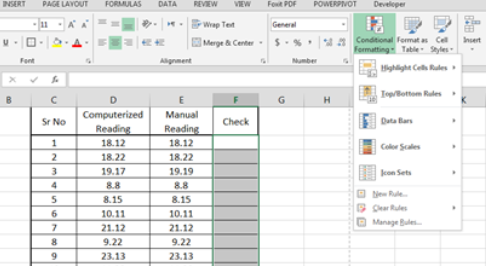 Based on the dataset, we are going to apply conditional formatting.in column F “Check” to see if values in Column D “Computerized Reading” & Column E “Manual Reading” are equal or not. 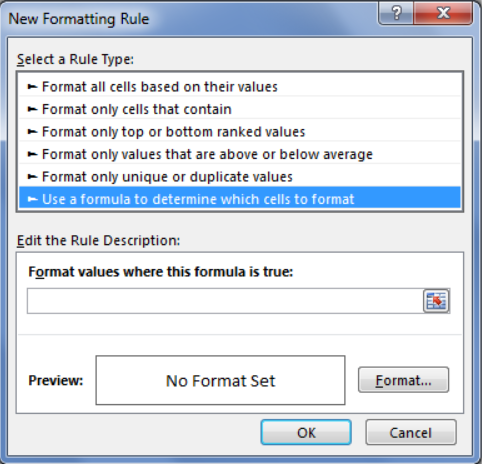 Now Click button “Format…” to add some formatting if the formula is true and press Ok to close the dialogue box. 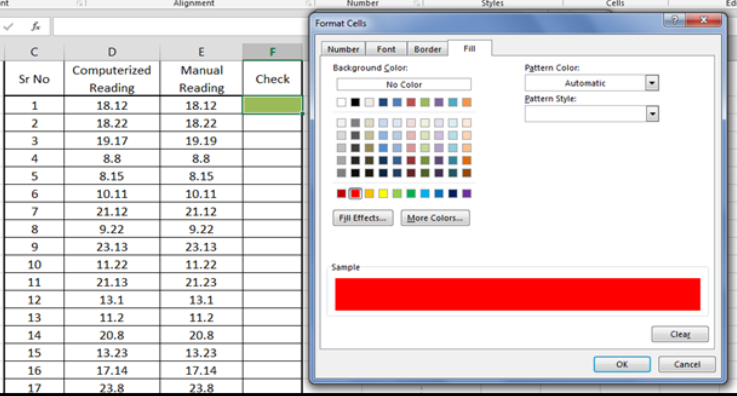 Press “OK” to close the dialogue box. 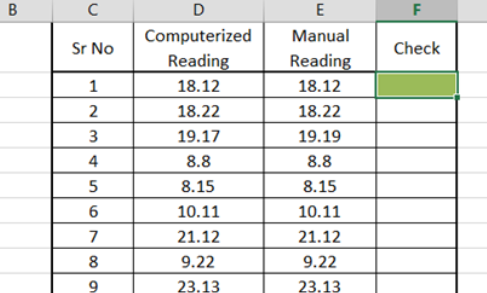 We can see in this example that 4 out of 25 values are not equal to each other i.e., Computerized Reading & Manual Reading and rest of the values are equal.